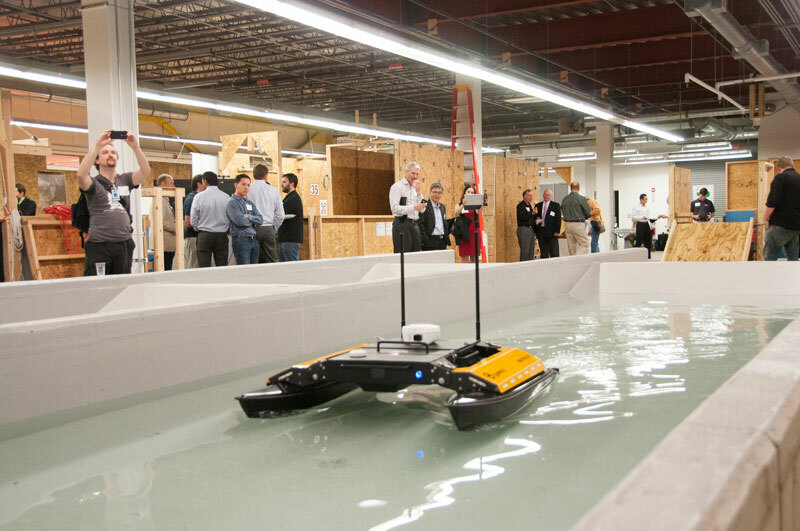 Jackal on the water ramp at the University of Massachusetts Lowell NERVE Center in Boston. What’s the NERVE Center, you ask? It’s the robot testing facility at the University of Massachusetts Lowell and THE place to be when visiting the Boston area. We couldn’t pass up the opportunity to check out the site and test our bots across all NERVE Center courses. Kingfisher in the NERVE Center’s fording basin. It was a blast to run to run our robots through the courses, and we’re proud to say, they passed with flying colors! We owe a huge thanks to the center for allowing us to stop by for some fun on the robot-friendly playground. Why is NERVE Center so useful? 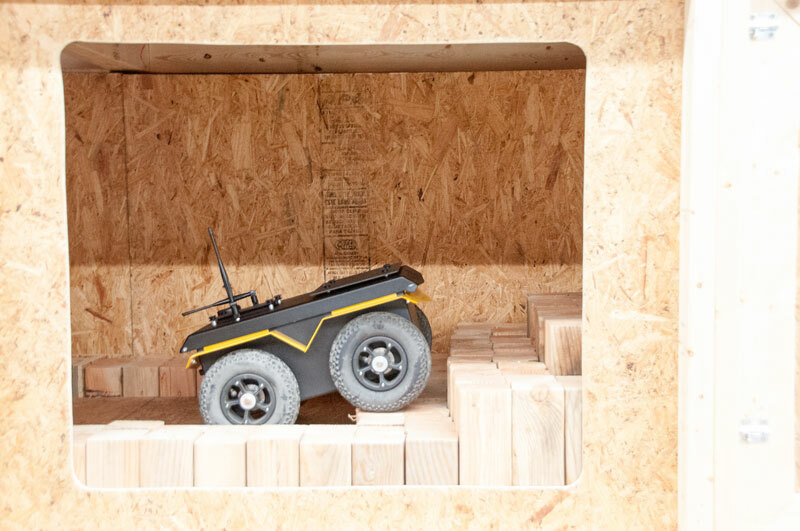 The NERVE Center was started in 2012 to provide standardized test courses, testing services, and applications prototyping robotic vehicles – it’s like it was made for our bots! How large a gap can the robot cross? How steep of a slope can the robot climb? 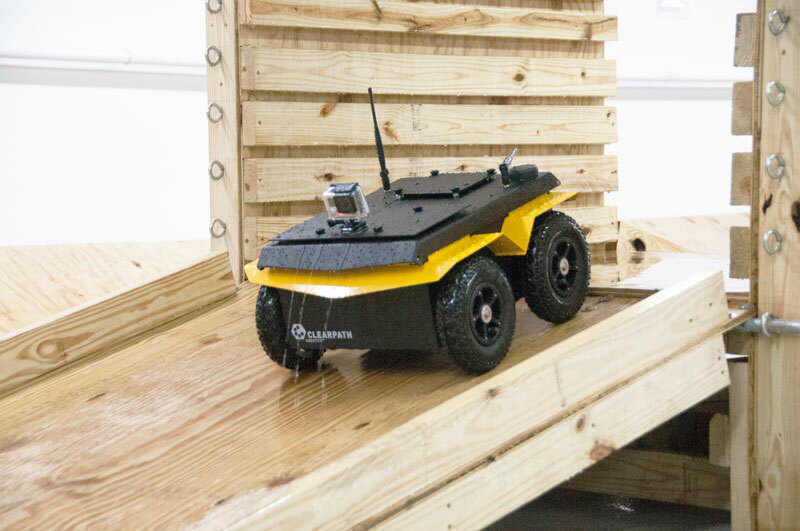 What kind of obstacles can a robot traverse? This type of testing is incredibly useful for robot developers as it provides 3rd party validation of the robot’s performance and specs. Many of the courses were developed in conjunction with NIST (National Institute of Standards and Technology) and the US army. See the robot testing for yourself! We’ve told you how awesome this robot wonderland is, and now, it’s time to see it for yourself. Watch as the Clearpath robots invade NERVE Center and get tested to the max! This post originally appeared on the Clearpath Robotics blog.